Today is our last full day in Manarola and Cinque Terre. It is another beautiful day. During the summer you can take a boat ride along the coast from one town to another. But because it is winter, and I assume because of storms, all the boats are out of the water right now. One of the fun things about travel is being surprised by what is delivered to your table. 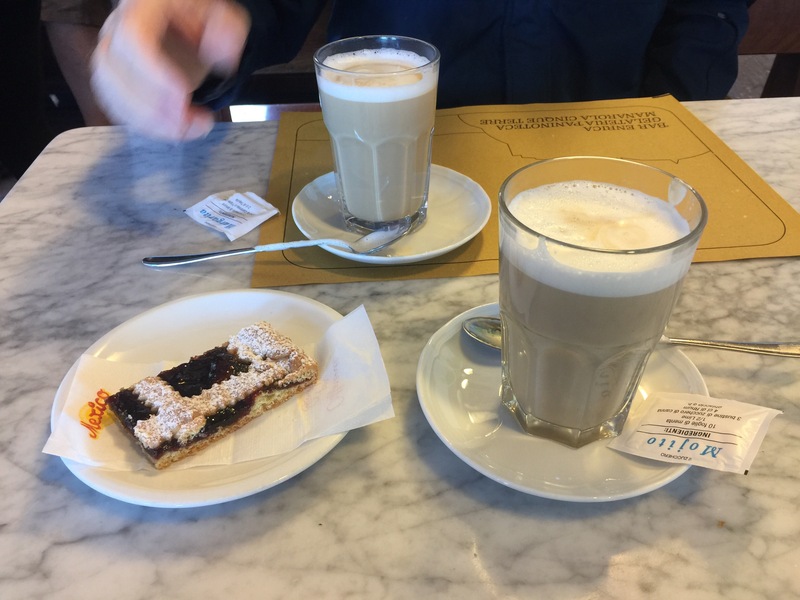 I ordered caffèlatte and toast with jam this morning and this is what I received. 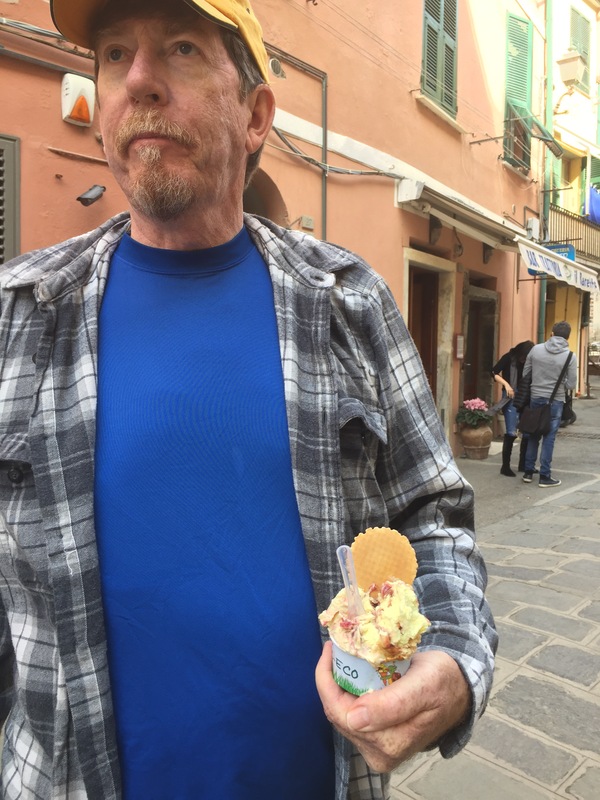 The coffee was hot and the pastry was a surprise but it was good. 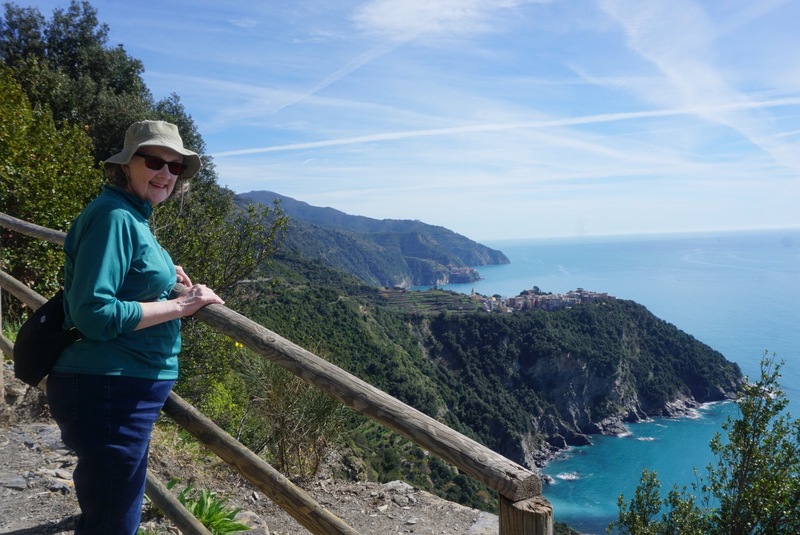 Today we took the train to Corniglia the middle of the five Cinque Terre towns and hiked north from there to Vernazza. The route still had ups and downs but it was more along the coast than our other two hikes. In the picture below you can just see Corniglia and behind it on the next point Manarola where we are staying. This is our destination, Vernazza. 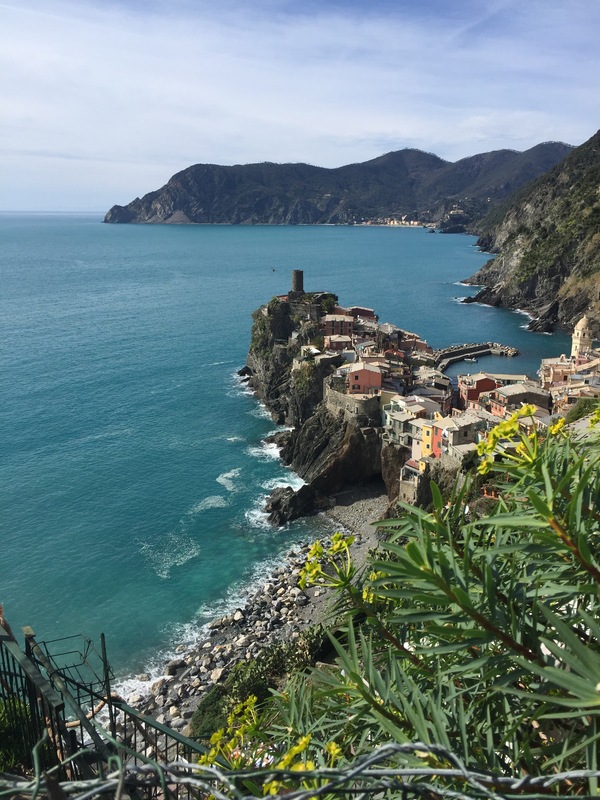 When we reached Vernazza we shared a gelato and then took the train back to Manarola. We had a wonderful dinner. 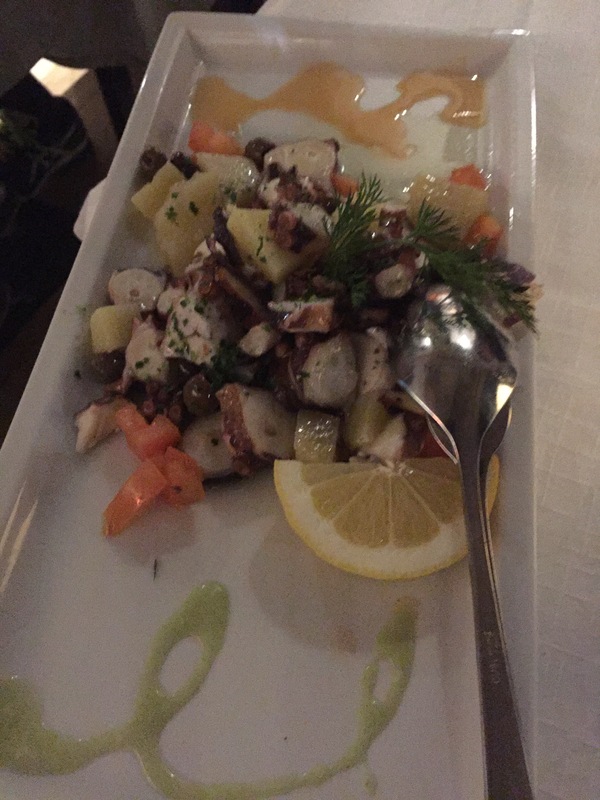 We started with octopus and potatoes. 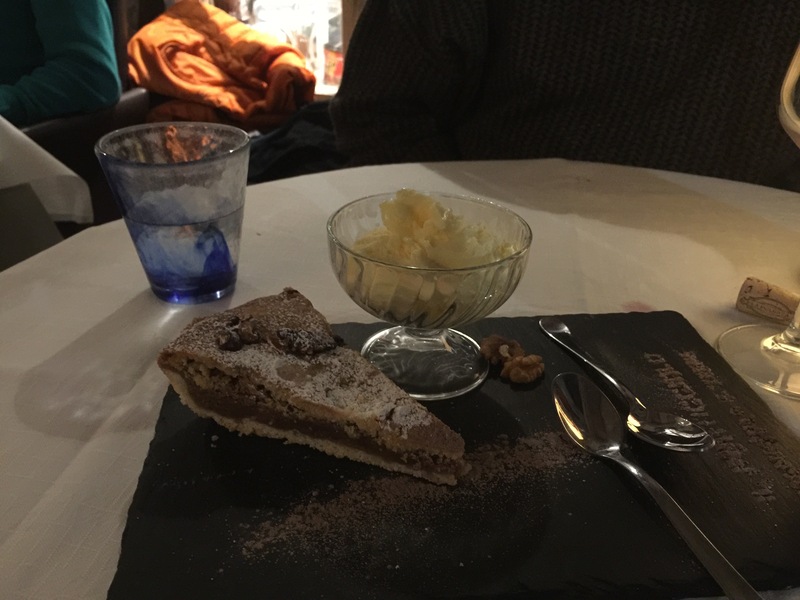 We then had fresh fish followed by walnut cake for desert. As we walked back up the hill to our hotel it was cool and there was no one else around. It is great to be here in the off season.